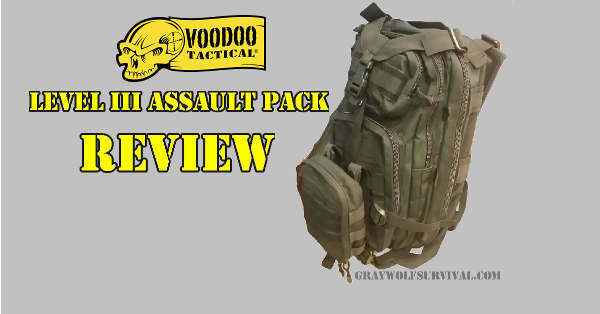 When TopSpecUs.com asked us to do a review of the Voodoo Level III assault pack, I jumped at the chance. I have some other products from Voodoo, such as their padded rifle case, and I was quite pleased with those items. They have proven to be pretty durable, so I was really looking forward to testing out the assault pack. TopSpecUs.com was formed in Jacksonville, Florida. 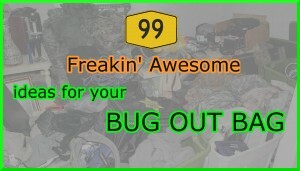 They started back in 2009 with just a few with watch bands and a handful drop-shipped tactical items, and now are a full stocking dealer for Marathon watches, Voodoo Tactical gear, Medford custom knives, Wavian jerry cans, and many more lines as well. Anyway, my initial plan was to convert the assault pack into my “Go bag”. 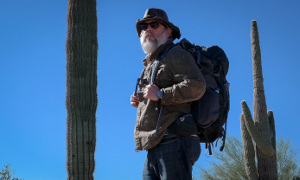 I have a NoLimits 50 L backpack that I keep in my truck. It is a bit large, but I’m a big guy. And I have that packed full. (More on that later.) Unfortunately, from the moment I took the Voodoo bag out of the shipping box, I could tell it was not going to be big enough. But that was ok, because I immediately saw another use for it. My Get Home bag is designed to get me and possibly other family members home, or to our homestead. (The contents of this bag I’ll save for another article.) If had to walk from work to home, it is about a solid day and a half on foot. That’s not taking into account the weather or other unforeseen events. Anyway, because of this, I went with a bigger than average backpack. It isn’t mil spec as I don’t want to be too obvious. Rather, it is more of a camping pack. It’s size might attract some notice, but for what all I carry it is something I would have to accept. As I mentioned, the Voodoo assault bag is too small for me in that capacity, being 18′ inches tall by 10′ inches wide by 10′ inches deep. (About 29 L). 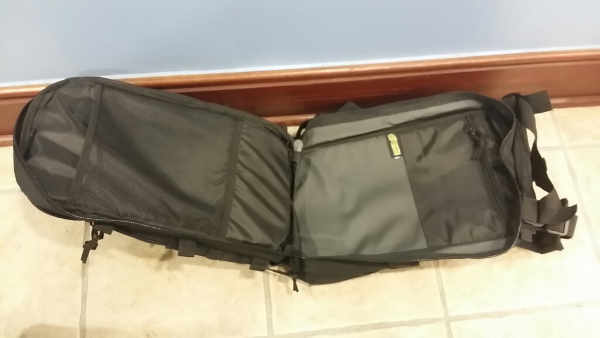 Even if I wanted to trim my current Go bag, I couldn’t trim it by almost half. 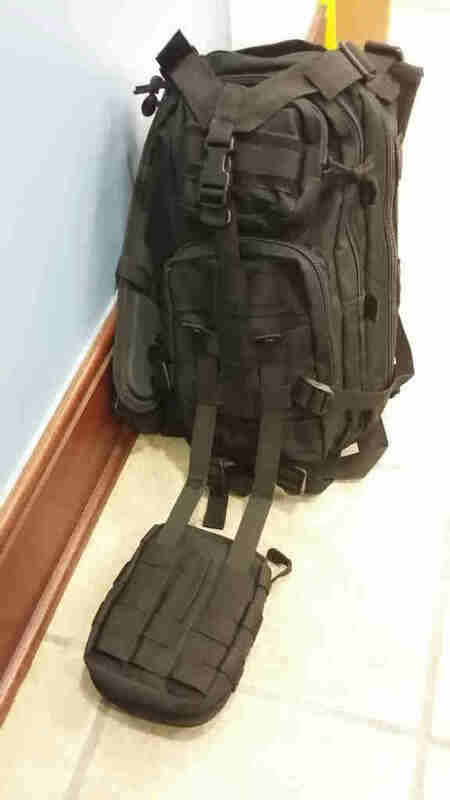 But, I have a second bag that I take to work every day, my Patrol bag. This bag was prefect for that! 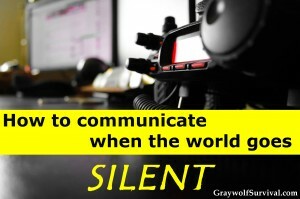 I’ll cover the contents and purpose of the Patrol bag at the end of this article. 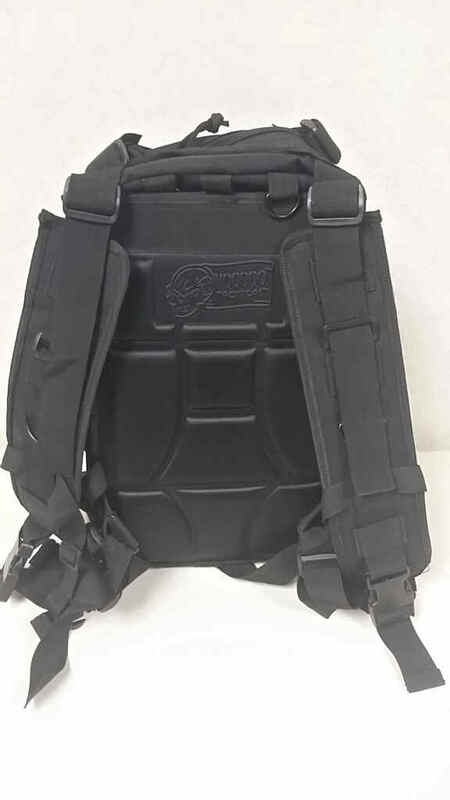 The Voodoo Tactical Level III assault bag is made with rugged, heavy duty nylon. It also has large, heavy duty zippers. The bag has two full length compartments, each with two added pockets on the inside. This is handy if you want to organize small items. One slight drawback is that only one of these inside pockets zips closed. The other three do not. So if the bag is turned upside down for some reason, there is a chance that the contents in the other three pockets could come loose inside the pack. The pack has three compression straps, one on each side and one at the top. This is handy if you really need to cinch down your pack. It also has a nylon handle at the top if you want to carry it by hand. The back of the pack has a foam pad for comfort. But it has also been contoured to allow air flow between the pack and you. There is also a pocket at the top, back that is sealed by Velcro in which you could store a hydration pack. The shoulder straps have a foam padding on the underside, which is designed for added comfort. But there is a downside to that. I have a tendency to carry my pack over just one shoulder. The foam pad actually causes the shoulder strap to fall down, resulting in the pack being around my arm on more than one occasion. This was VERY annoying, especially when I was carrying other items in my hands. This isn’t an issue if you carry it over both shoulders. And for extended travel I obviously would. I loosened the shoulder strap tight, which helped some. But this made the pack feel a bit more slack than I am used to. The shoulder straps are completely adjustable from both the top and bottom, and they are completely removable. There is also a nylon waist belt, but it is only 2′ wide and attaches with a single plastic buckle. For a pack this size however, I’m not sure I would really need it. Like the shoulder straps, it is completely removable. 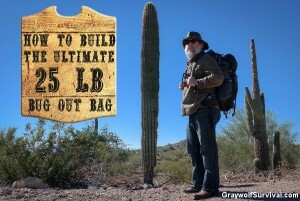 The construction of this bag seems to be rugged and durable. While I have not yet put this bag through its paces, I mentioned having other Voodoo products, and they have held up reasonably well. This bag appears no different. Currently, you can purchase this bag from for $79. I did some comparison shopping, and that seemed to me to be reasonably priced when you consider that you get free shipping within the continental US. It is offered in 7 different colors: Olive Drab, Black, Coyote Brown, Army Digital Camo, Multicam, and ATACS Camo. I chose black because all of my other MOLLE gear is black. The sliding shoulder strap is a big irritant for me, and the reason I rated it 4 stars as opposed to 5. But the quality and versatility of the bag really appealed to me. 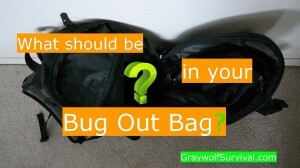 For me, it didn’t work as a bug out bag. But I found other practical uses for it. Depending upon your circumstances, it could be used as a 72 hour or BOB, though I tend to think it is a bit small for that. But as a day pack, or a BOB for your child, it works just fine! For those of you who are curious, I thought I would go ahead and list the contents of my “Patrol bag” and my thought process behind it. As I mentioned, I keep my Go bag in my truck. I don’t put it in my police vehicle as the pack is too big. I share a Ford Expedition with two other officers, and all of our police equipment is kept in this vehicle. Tactical vests and helmets, an Entry shield, rifles, shotguns, ammo, first aid equipment, radios, etc. We pack our vehicle full. But there is enough room for my Patrol bag, and my 9 quart Igloo cooler. In the cooler I keep several bottles of water, 3-4 Clif bars, chap stick, aspirin, a 5 hour energy drink, and a Coleman frozen chiller pack. 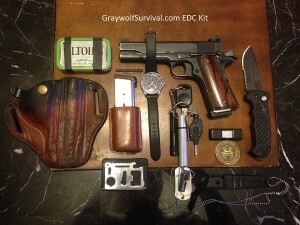 I have room in the patrol bag for those items should I need to ditch the cooler. I could also use the bag to get back to my main pack if everything were to go to Hell in a hand basket. In my Patrol bag I keep extra magazines for my Glock and extra shells for my shotgun. I have an extra set of handcuffs, my yellow reflective highway vest, my citation book, my Streamlight Stinger DS LED flashlight, a cheap cigarette lighter, set of large puncture resistant gloves, a Duracell AC/DC power mobile inverter, extra USB phone charger with DC wall adaptor, department issued Ipad and charger, and my clip board/form holder. I also have some other assorted police gear and equipment. Before, I had this all packed into a regular “Wal Mart” cheap backpack. It wasn’t very organized or efficient. And after about 6 months of use, wear and tear were beginning to show. But with the Voodoo Assault pack, I am able to keep everything organized and in place. And it should be able to stand up to the every day uses I put it through. In the end, I’m pleased with the Voodoo assault pack, and was immediately able to put it to good use. 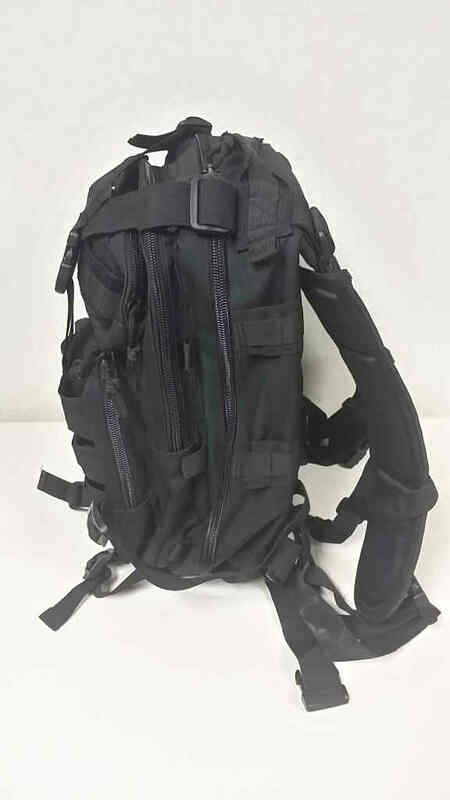 If you like this style of bag but would like something a bit larger, check out my review of the 5.11 Rush 72 Tactical Backpack/Bug Out Bag.